SCOTCH was on the rocks yesterday after a Japanese whisky was voted the world’s finest. To add insult to injury, no Scottish distiller made it to the top five in the annual list compiled by Jim Murray’s Whisky Bible. 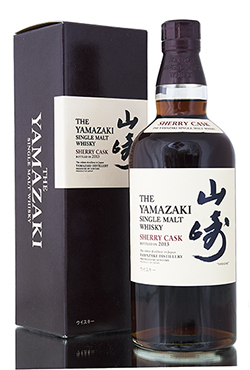 Experts called Yamazaki Single Malt Sherry Cask 2013 “near indescribable genius”, awarding it 97.5 marks out of 100 while praising its “nose of exquisite boldness” and finish of “light, teasing spice”. However, Mr Murray had hard words for the Scots for resting on their laurels and churning out mediocre malts and boring blends. So is it the beginning of the end for Scotch? “Of course not,” says Mr Murray. “But it is a wake-up call. “It is time for a little dose of humility. “It is time to get back to basics. The 2015 Whisky Bible contains taste notes for 4,700 whiskies.